The world is in pain, but it's not over. A room filled with long abandoned desks full of nebulous work and littered with the remains of people long dead is a dime-a-dozen sight. You and people like you - drifters, they call you - have encountered this scene countless times before. It doesn't give you a moment's pause, but somber reflection is something that follows you everywhere you go. Contrasted against the last village in the world, you'd think they couldn't exist in the same reality. Villagers, displaced from the collapse of the surrounding civilizations, hustle and bustle as if it were just another day. When you buy goods from merchants in the streets or play soccer with one of the youths, you almost forget that this is a time after a disastrous apocalypse - one of the many strengths of Heart Machine's Hyper Light Drifter. When you fill the shoes of the eponymous Drifter, you find that a few things are instantly familiar. Swordplay is a snappy, and traversing through the world is so A Link to the Past that you almost miss not having a boomerang. The world itself - four branching zones that stretch in cardinal directions and are attached in the center by the above mentioned village - vary in mood, as do the expected sort of wildlife that inhabit the ruins there. Each almost evoke a season; the North's frigid and barren peaks are Winter at its most desolate, while the East's wet and lush pagoda is the April showers without the May flowers. Even after a world ending disaster strikes, the world moves on. The seasons can't be stopped. Drifters are brave souls that navigate these wild locals that are are filled to the brim with hostile wildlife and occupiers. Like a young Link, your protagonist is more than prepared for the task, if not haunted by it around every turn. Early in the game, you succumb to the onslaught of some of the more vicious of these nameless foes. Thought to be left for dead, a member of your silent order saves you in the nick of time, and you are nursed back to fighting form. But every so often, your progress is unceremoniously stopped as you double over in pain and cough up rainbow goo. Your assumed mentor suffers similarly, this weakness seemingly a membership club card for people like you. 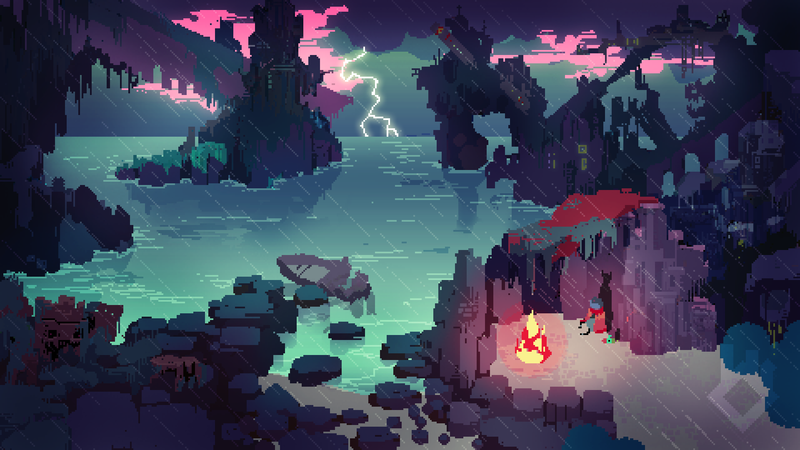 The persistence through the darkness is the most prominent theme in Hyper Light Drifter, and it's fitting considering Director and Lead Designer Alex Preston spent much of the development cycle juggling creating the game and pushing though his own chronic illness. Expanded plans for the game, an unwavering quest for balance in the combat, and a lifelong heart condition is Preston's set of recurring boss fights and unshakable foes he's had to conquer every day to get this game past delay after delay, including contract issues between Nintendo and YoYo Games (the developer of the engine used for Hyper Light Drifter). It makes a temper tantrum over a tough boss fight seem like a middling complaint in comparison. The game is quite tough, even outside of the boss fights. You never have more than five health, and monsters do a great job coming up with new and frustrating ways to take them away from you. You find small chips or coins (the game never tells you what they are exactly) that can be used to learn new techniques or upgrade the weapons you'll come across in your adventure, but the chances of you finding enough to upgrade more than a few select offensive options are slim. For example, I went the whole game without spending a single point to get grenades, something you don't start with and remain optional throughout the journey. Even if they're cutthroat and brutal, no monster seems unfair. They have a strict set of attack patterns and play by a specific set to rules, like any Dark Soul-esque baddie. It's up to you to navigate them, and Heart Machine gives you the tools to choose your own course of action against them. Just as the upgrade and combat systems are relatively open ended, so is the world itself. 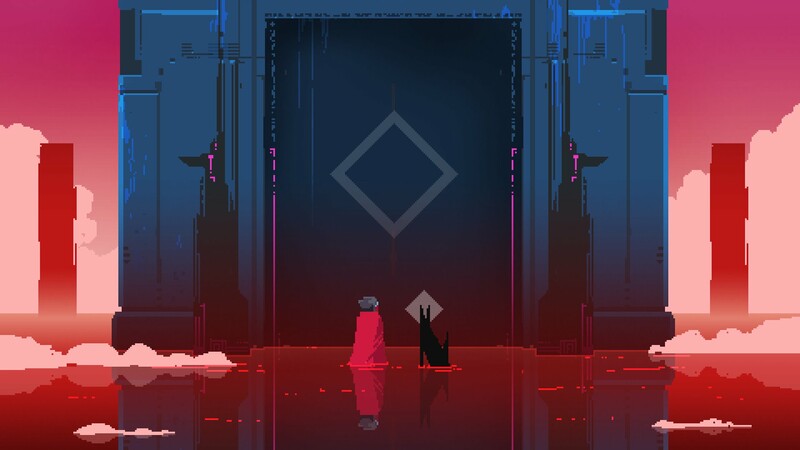 With only a couple of roadblocks that require previous interactions or doors that need keys, the world of Hyper Light Drifter is almost completely up to you to explore at your leisure, in any order you want. The amount of times legible language is used can be counted on one hand, with most of the games dialogue and cut scenes being displayed in shapes or pictures that leave most of the narrative up to your imagination. It's all pretty vague, but Heart Machine puts a great deal of faith in the player this way, trusting that they can do what's needed without having to hold a carrot in front of you. Even at it's toughest, player Hyper Light Drifter is a rewarding experience. Not just in its baroque yet minimal art design brings a visual package rarely seen in games, let alone post apocalyptic ones. But the nostalgic mechanical ballet between your Drifter and the denizens of this ailing world are reminiscent of the good old days of gaming. A cerebral and meditative look into the many faces of perseverance, this indie gem shouldn't be missed. 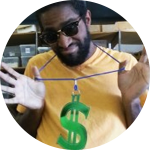 Stop by our Hyper Light Drifter Wiki and help your peers solve the many mysteries of this game. Then, let us know how you feel about it on Twitter and Facebook.